Chia Seed Oil is beneficial for both inside and outside of your body. You can consume this oil by placing it in your food like salads, smoothies, and more! 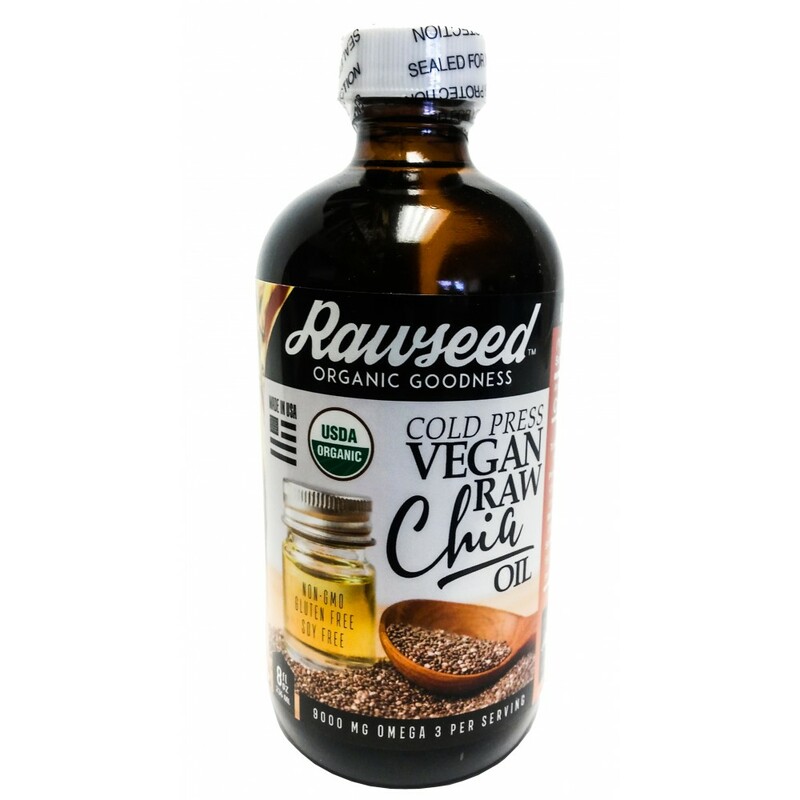 Rawseed Organic Chia Seed Oil is Raw, Cold-Pressed, Vegan, Non-GMO, Organic Certified, and Gluten-free. Chia Seed Oil has multiple benefits when used in food and on skin. You can consume this oil by placing it in your food like salads, smoothies, and more! You can also use Chia Seed Oil as a facial oil because it is said to be an antioxidant enriched oil that will help calm and moisturize the skin. Please do a patch test on your skin first before using it on your face to make sure that you do not have any allergies to the oil.